It seems only fitting, during June as pollinator month, to celebrate food. Food, glorious food. I do love food. Let me qualify that. I love good food. 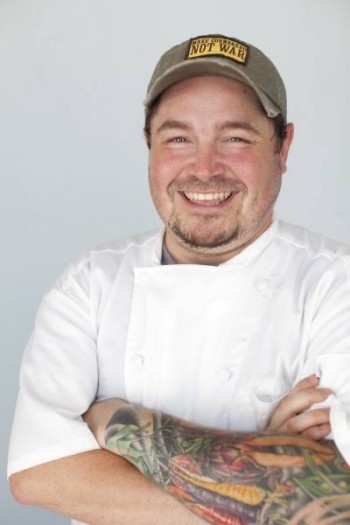 Sean Brock is a rockstar in the world of food and cheffery. His cuisine is found in Charleston, North Carolina at McCrady’s and Husk. My husband Kenneth is a Georgia peach, so this post honors his stomping grounds and the fabulous food that comes from Southern soils and imaginations. We constantly plot our getaway to Charleston when we visit family in Atlanta, Georgia. “Next time…” we always say. We haven’t made it yet. But after watching PBS “The Mind of a Chef” with Sean Brock, I think we will do it next time. Jimmy Red Corn, Crispy Pig ears, Beaten Biscuits and Sack sausage are on the menu. Now, I can’t say that this is what lures me in, but Brock is known for taking Southern Cooking to new heights. But don’t take my word for it. Check it out here. Who knows, you might even beat Kenneth and me to it. 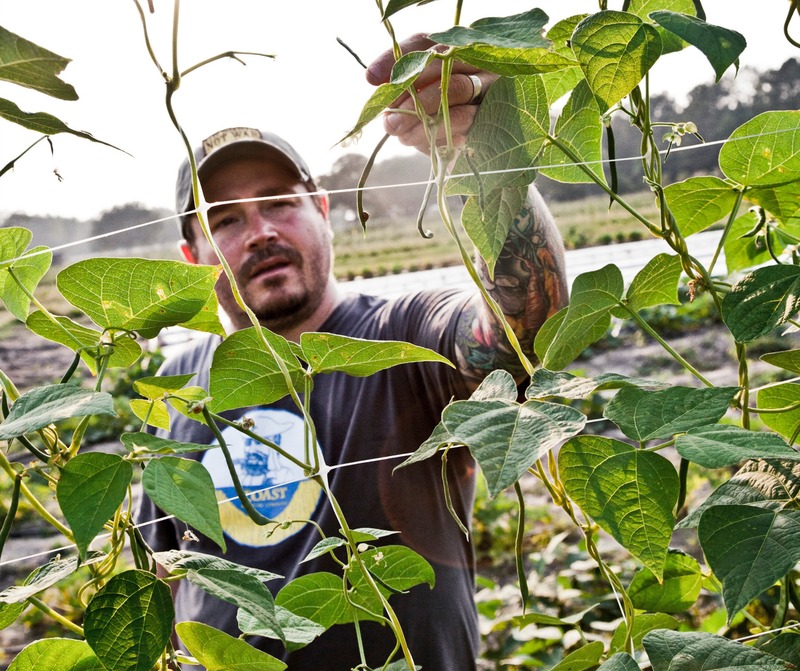 Thank you Sean Brock, for bringing integrity back into our food again, and honoring the pollinators and eco-systems that make it possible to eat well. June is Pollinator month. Bee part of our annual Think Like A Bee swarmfunding campaign. In honor of all good food and the pollinators that make it possible, help fund our ongoing bee advocacy and education work this coming year. Go to this page and click on the DONATE button. You may also send any tax deductible donations made out to PES (our fiscal sponsor) c/o Think Like A Bee, 410 Morningside Dr. SE, Albuquerque, NM 87108. Love this article! Heading to NC Thursday to spend another week with my Dad. He’s doing well…really looking forward to time with him.